By Eric Abrahamsen, published February 18, 2017, 12:10a.m. China's domestic literary prizes are often viewed with uncertainty from abroad: Who runs them? Are they trustworthy? How are the different prizes specialized? Which should we be paying attention to? We've asked Chen Dongmei, who usually exerts her influence behind the scenes, to step forward and give us a rundown of prizes for adult and children's literature, to try to shed some light on these questions. Most of the authors and works that win these prizes are selected by official organizations such as the Writers Association, the state administration of publications, state-owned publishing houses, literary magazines, and so on. During the judging process they typically have little interaction with the mass media, and this plus unspecified judging criteria and irregular schedules and award structures have caused them to be viewed with skepticism by the media. It’s important to note that most prizes have a variable amount of cash to disburse, and the number of winners varies accordingly. Many of the prizes below are awarded to any work that is voted for by more than 2/3 of the judges – the number of winners is then further adjusted according to how much money is actually available. As for how many votes each judge can cast, this information is not usually divulged. Cash awards vary from prize to prize, and year to year. It’s worth noting that winners of one of the more prestigious prizes (eg the Mao Dun and Lu Xun) will often receive additional fees and bonuses from other quarters: the municipal government of the city where they live might throw in their own cash award, or even gift the author with real estate. Sometimes the municipal, county, and provincial governments will all pile on, and even the author’s alma mater. This rarely happens for the lower-profile awards. All this uncertainty meant that the “New Concept Composition Contest”, when it launched in the late 90s, encouraging students and writers to submit “innovative” writing, attracted attention from all quarters, eventually propelling “post-80s” writers like Han Han, Guo Jingming and Zhang Yueran, to fame. 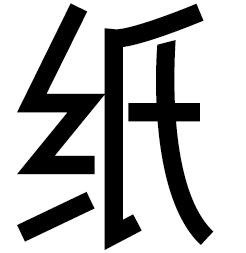 Another prize worth noting is the Chinese Literature Media Award, established in 2003. As the first literary prize run by a media organization, the judging process is overseen by independent inspectors, conducted on a predictable schedule in which each sub-prize is given to a single author each year. Touting itself as “independent, fair, and transparent”, the prize gained influence quickly, to become one of the most authoritative literary prizes in China. Run by the Baihua Literature & Art Publishing House, this prize was established in 1984, and winners are chosen entirely on the basis of reader voting – the only prize of this kind in China. It is awarded once every two years. Named for one of the most outstanding Chinese playwrights of the 20th century, this is the highest prize in the field of drama. It’s jointly administered by the Chinese Ministry of Culture and the China Theater Association and awarded every two years, with 10 winners and 10 honorable mentions. Nominations are made by the members of the China Theater Association, theaters under the direct administration of the central government, the cultural office of the Central Military Commission’s work department, and other relevant bodies. Established in 2003 by the Southern Metropolis Daily, this prize is the first in China to be run by a media organization, and to incorporate independent oversight of its judging process. It’s already become one of the most influential prizes among regular readers. It’s categories include Outstanding Writer, Novelist, Poet, Essayist, Critic and Most Promising Newcomer, with one prize in each category. The Outstanding Writer is given 150,000 RMB, other prizes come with an award of 30,000. China’s most influential science fiction magazine Science Fiction World established this annual science fiction prize in 1986, and it has now become the most important prize for this genre in the country. It includes 13 separate categories including best domestic title, best imported title, best translation, best novel, best novella, best short story, best newcomer, etc. Also of note is its “Most Popular Foreign Author Prize”. There are one to three winners in each category. In 2013, the prize money increased to 100,000 RMB each for the best science fiction and fantasy novel, and 10,000–20,000 for winners in other categories. The Junma prize is administered by the China Writers Association and the State Nationalities Affairs Commission, and is the highest prize in China for non-Han authors. It is awarded once every four years, and includes 11 categories in which fewer than five works are awarded per category. There is also a translation category, awarded to no more than ten works. The winners are selected by a voting process, and any work garnering more than two thirds of the votes wins the prize. Works by Taiwanese authors that have been officially published in Mainland China are also eligible. Named after the Chinese patriot and novelist Lao She, whose work and activism made him one of the most influential figures in 20th-century Chinese literature. This award is given to a Beijing writer every two to three years, recognising literary excellence in novels, novellas, drama, film, television, and radio. It is sponsored by the Beijing Literature and Art Association and the Lao She Literature Fund, which was established in 1988. The number of winners and the size of the prize changes from year to year, usually varying from two to four winners, and 20,000 to 50,000 RMB. Nominations are made by the Beijing Literature and Art Association, the Beijing Dramatists Association and the Beijing Television Artists Association. After the nominations are confirmed by the panel of judges, readers cast votes via the media and the judges select the winners based on the popular vote. Named for Lu Xun, the most prominent Chinese writer of the 20th century, this prize is also administered by the China Writers Association. Inaugurated in 1995, it is the country’s most prestigious prize for a wider variety of literary forms. It has no category for the novel, instead providing categories for novellas, short stories, reportage, poetry, essay, literary criticism and translation. Its judging process is similar to that of the Mao Dun prize. In its first year, the prize was awarded to 5-10 works in each category. Since then the number has dropped to 5 or fewer works per category. In 2011, the Li Jiacheng Foundation also gave a bequest to this prize, raising the cash award from 10,000 RMB to 50,000 RMB. Named for prominent Chinese writer Mao Dun (who personally endowed the prize with 250,000 RMB), and run by the China Writers Association since 1982, the Mao Dun Literature Prize is China’s most prestigious literary prize for novels. Every four years, the Writers Association calls for works published within those four years from provincial Writers Associations, magazines, publishers and literary websites with internet publishing licenses. Individuals may not make nominations. 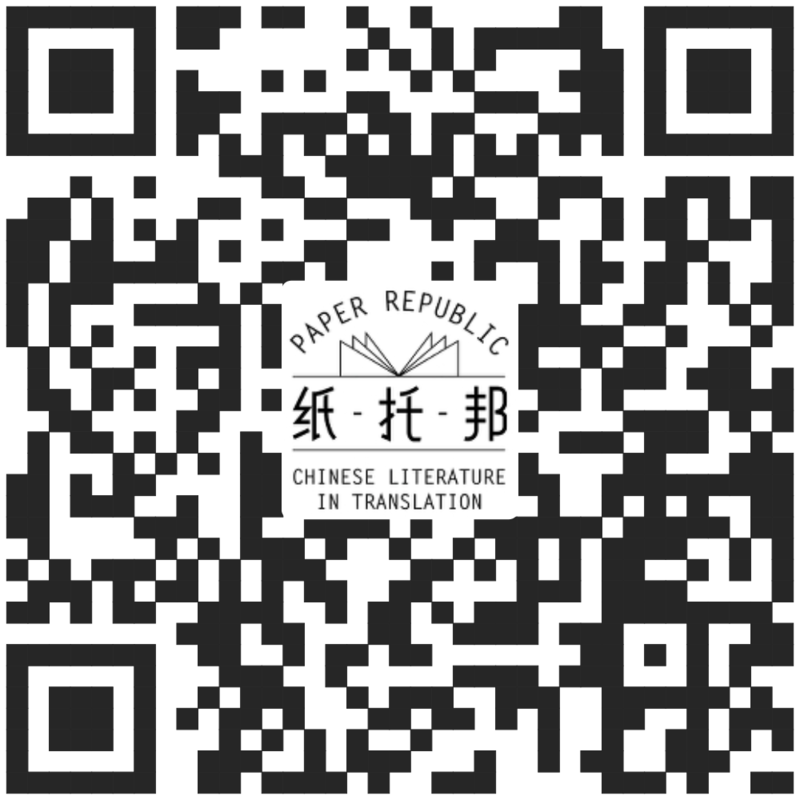 Works by Taiwanese writers published on the mainland are also eligible. Judges choose from 20 nominated works in several rounds of voting, and any novels that win more than 2/3 of votes in any round wins the prize – generally there are 3-5 winners each time. Prior to 2011, winners were given a prize of 50,000 RMB. In 2011 the Li Jiacheng Foundation contributed a bequest of five million RMB to the prize, and winners are now awarded 500,000 RMB each. Established in 1998 by young-adult literature magazine Sprout, New Concept is the most influential prize aimed at students and young writers. Its inception brought the “Post-80s” writers into public view, and launched the early careers of writers such as Han Han, Guo Jingming, Zhang Yueran and Zhou Jianing. Nominees are grouped into categories by age, and each category has a first and second prize, and a published list of nominees. The amount of the award is not fixed. The October Literature Prize has been awarded 13 times since its establishment in 1981 by October magazine, one of China’s most influential literary magazines. Winners are selected from novels, novellas and essays published in October. This prize is run by the People’s Literature Publishing House, and is awarded to long or short pieces that have been published by that publishing house, or by People’s Literature magazine. Since 2003 it has been awarded annually, and now includes categories for novel, novella, short story, essay, non-fiction, poetry, translation, and a “special” prize, with one to three winners in each category. Judging is done by “a group of writers, critics and readers in independent reading, evaluation and discussion”. Each winner receives 10,000 RMB. Established by the World Chinese Science Fiction Association, based in Chengdu, in 2010, these prizes are awarded yearly for Chinese-language works of science fiction published in any country. The winners are selected by a jury from a list of nominees determined by public voting; in 2013, more than 30,000 votes were cast for 40 nominees. The gold medal is given to one winner, along with 50,000 RMB. There are four silver medal winners, each receiving 10,000 RMB. The 10 runners-up each receive 1,000 RMB. This youth literature prize was originally funded by Zhuang Chongwen, CEO of Chuang’s Consortium International and consultant to the Chinese Literature Foundation, and continues to be administered by the foundation. It is awarded every other year to a writer under the age of 40. Candidates are chosen by the China Writers Association and related organizations. The first round produces 15 nominees, 5 to 8 of which are awarded the prize by winning more than two thirds of the votes. Winners receive 20,000 RMB. This award is named for the Chinese writer Bing Xin, a key figure in 20th-century Chinese literature. It is an annual award intended to “honor the creativity of Chinese Children’s literature and to discover and foster new authors, as well as supporting and encouraging outstanding children’s literature and publishing.” The first round of awards were announced in 2005. The prize is administered by the Zhejiang Children’s Publishing House and the “Bing Xin Prize Judging Panel”. A major award issued in China, with the aim of promoting excellence in children’s publishing and cultural diversity. It was originally called the Children’s Literary Garden Prize (儿童文学园丁奖), then the Chen Bochui Children’s Literature Award from 1988. The first awards were given in 1981, and since 2014 the awards have been opened to international publishers. It is named after Chen Bochui (1906-1997), who in the 1940s translated Pushkin’s Children’s Tales, The Wizard of Oz, and Don Quixote into Chinese for the first time, and who donated his life savings to establish this award. It is awarded every two years, and is administered by the Chen Bochui International Children’s Literature Award Foundation, the Shanghai Municipal Administration of Radio, Film, Publishing and Television, and the government of Shanghai’s Baoshan district. There are two “writer of the year” awards, given to one Chinese writer and one international writer, each of whom receives 100,000 RMB. The “special contribution prize” is likewise given to one Chinese and one international writer, each of whom receives 50,000 RMB. The 15 winners of the “work of the year” prize each receive 20,000 RMB. A biannual award aimed at promoting original, quality Chinese children’s books and recognising the efforts of authors, illustrators and publishers. The award is named after one of China’s best-known illustrators, Feng Zikai (1898-1975). It is the first international Chinese children’s picture book award. The Award is sponsored by the Chen Yet-Sen Family Foundation, a Hong Kong-based charitable institution, which supports childhood literacy projects. The first awards were made in July 2009 and, thereafter, every other year. The Award is comparable to the Caldecott Medal, which honours the most distinguished American picture book for children published in the United States each year. The single top-prize winner is given 20,000 USD, while the four “excellent work” awards each come with a prize of 5,000 USD. A major literary award established in 1986. It is run by the China Writers Association, and is awarded every three years in the categories of novels, picture books, poetry, essays and non-fiction. It was one of a series of literary awards organised on a national level from 1978, collectively known as the “National Outstanding” prizes. In the 1950s there were awards for theatrical works and performance, but not for fiction, poetry and the other arts; this series was established to rectify that. In principle there can be no more than 20 winners in each category; any work voted for by more than two thirds of the judges wins. The prize is also open to works by Taiwanese writers that have been officially published in Mainland China. This prize is sponsored by the Soong Ching Ling Foundation, the Communist Youth League Central Committee, and the China Writers Association, and is awarded every two years, with a different genre specified each time. While the names of the prizes vary, one thing doesn't: Literary critic and apparatchik par excellence Li Jingze is sure to figure among the names of the organizing committee or judges for all major prizes, and many lesser ones. The last time I checked, he was Deputy Chairman of the very influential China Writers Association. It should also be noted that the Junma Literary Prize awards mainly fiction written in languages other than Mandarin. In case you're wondering, Li Jingze -- a Han Chinese whom I don't believe speaks any other language indigenous to the PRC -- also figured among the top brass for this competition. Other competitions for writing in non-Han languages include the Duorina Mongolian Literature Prize (朵日纳文学奖). Bruce Humes, February 18, 2017, 6:03a.m. susan, February 19, 2017, 5:10p.m. For Chinese writers that never sort any prize but only sort support from readers at large, that's something, yes? susan, February 24, 2017, 8:23a.m.